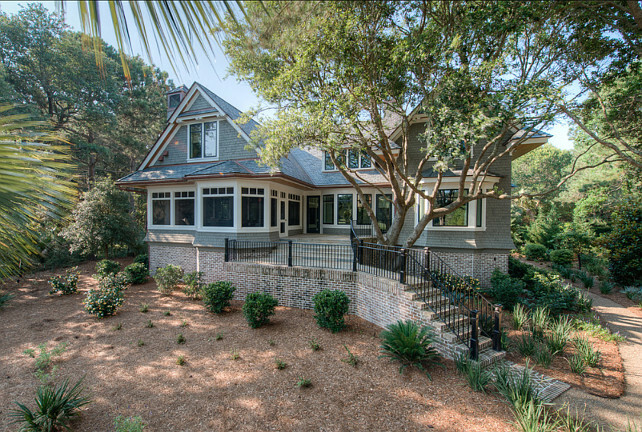 If you crave homes with beautiful architecture and original interiors, this home is for you! 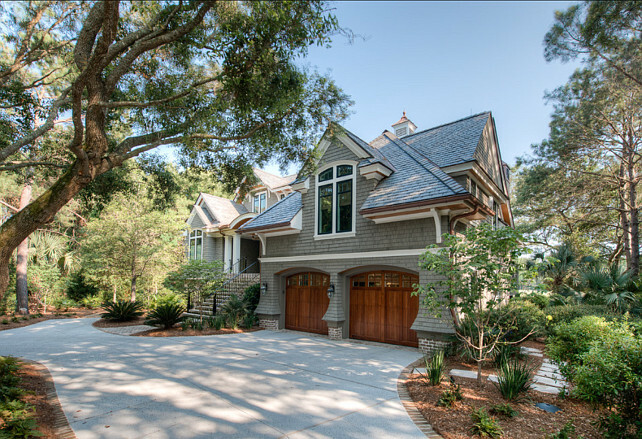 Located in Charleston and designed by Solaris Inc., this home seems to be ideal in every detail. It sits on a large lot with lush landscaping by the water, its exterior is authentic and the interiors, although spacious, carry an inviting approach. 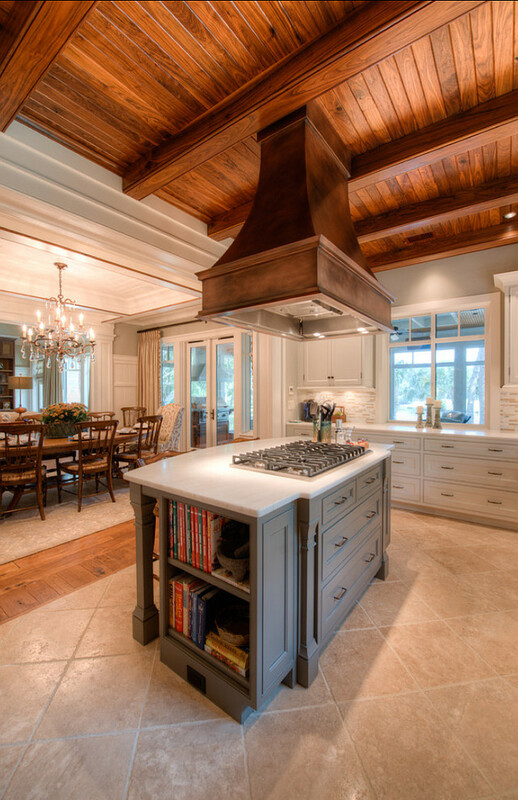 Here, you will also find a French country inspired kitchen that will amaze you. 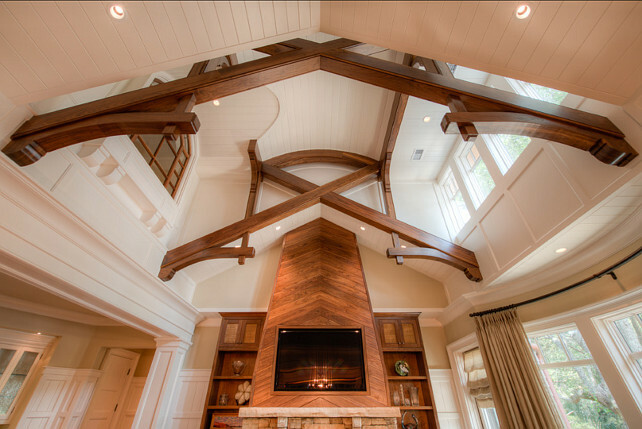 Also, you will notice a family room with an astonishing ceiling design and not to mention the master bathroom… a dream for anyone. 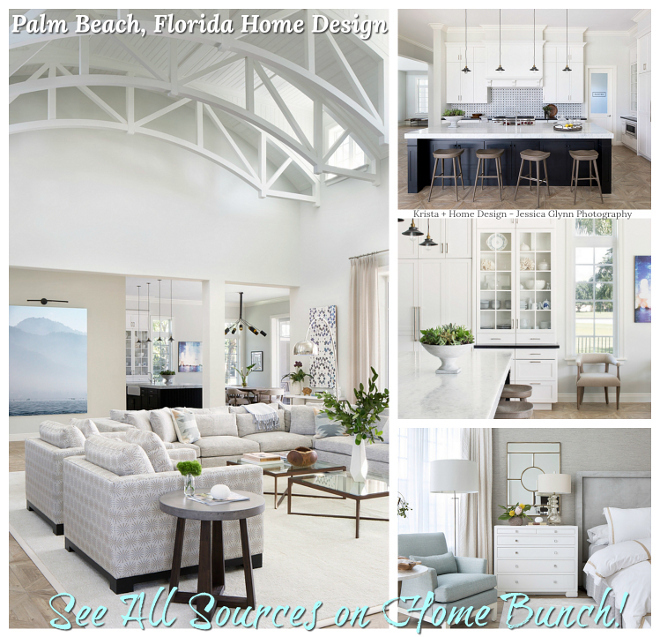 Overall, this is the kind of home that makes you like interior design and good architecture a little more, simply because you feel how creatively this home was designed. 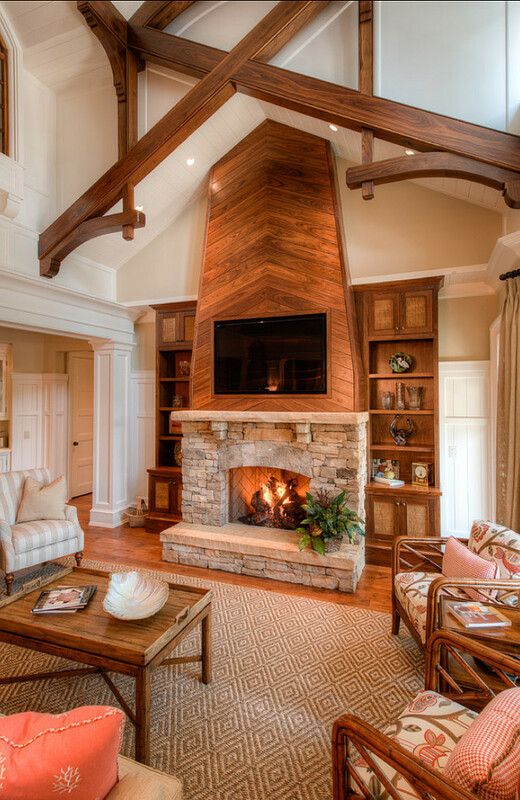 This home has truly beautiful architecture and interiors! Note the shingles, intended entrance and pillars on the small porch. Isn’t this unique and inspiring? 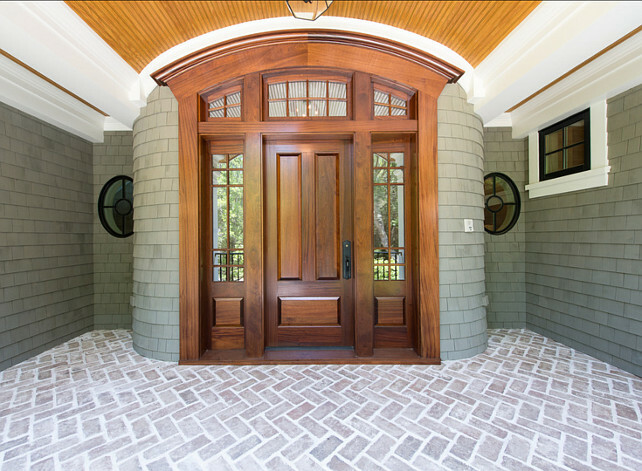 I love this front door, the curved walls on both sides and the brick flooring. Door unit was purchased through Southern Lumber, Charleston SC. 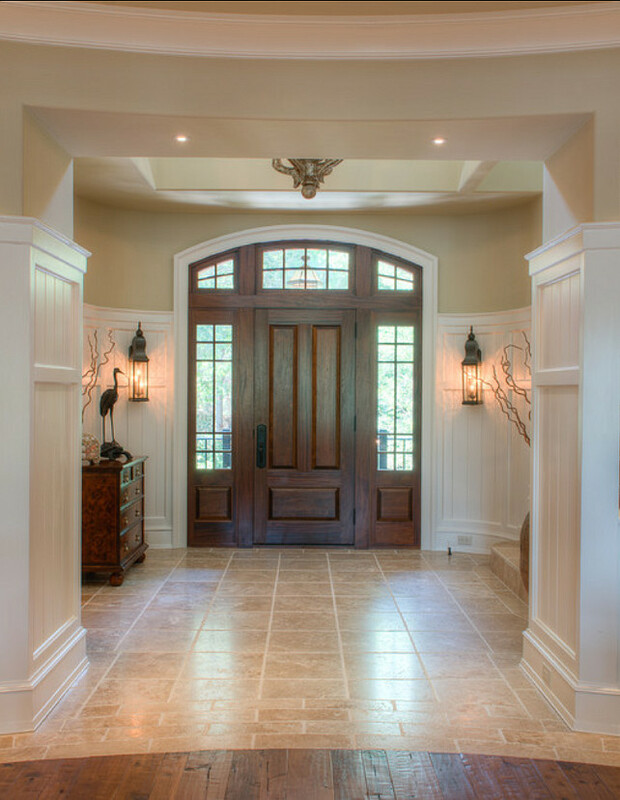 I am loving this foyer! Great transition of flooring and curved walls. This living room is very original and full of great architectural details. Note the curved drapery rods on the bow windows. Very tailored. Beautifully designed! 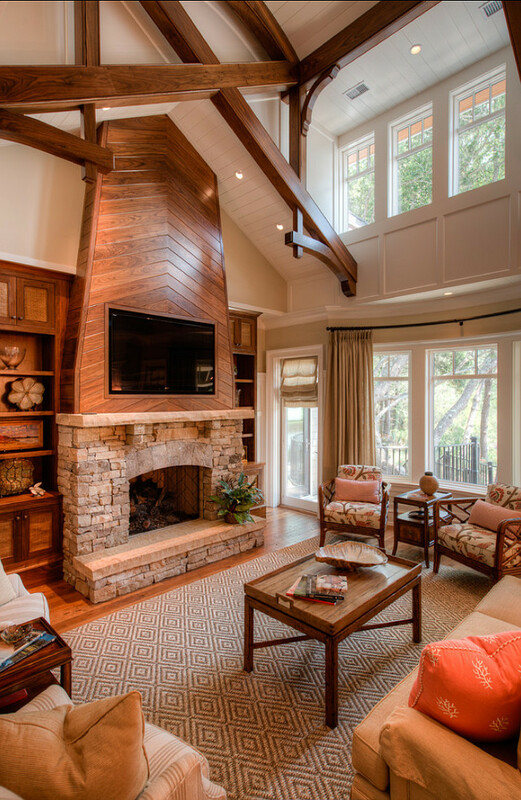 Great built-ins and millwork on the fireplace and ceiling. 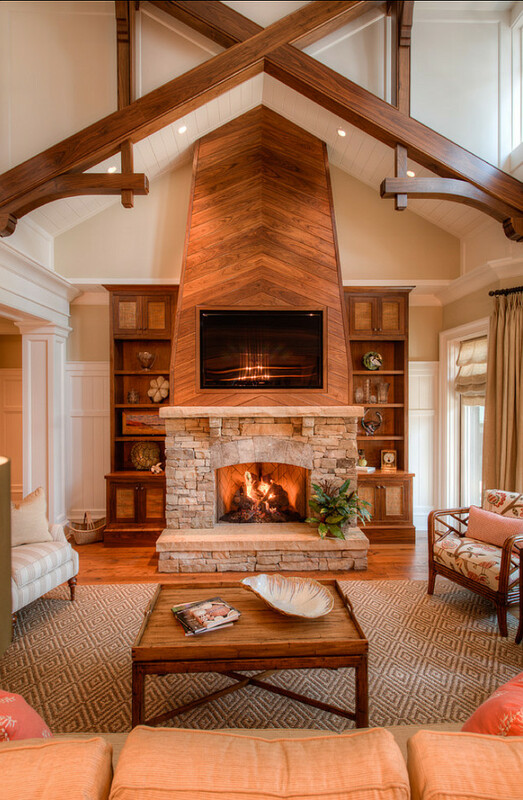 The natural elements and hues found here make this room feel cozy and intimate. 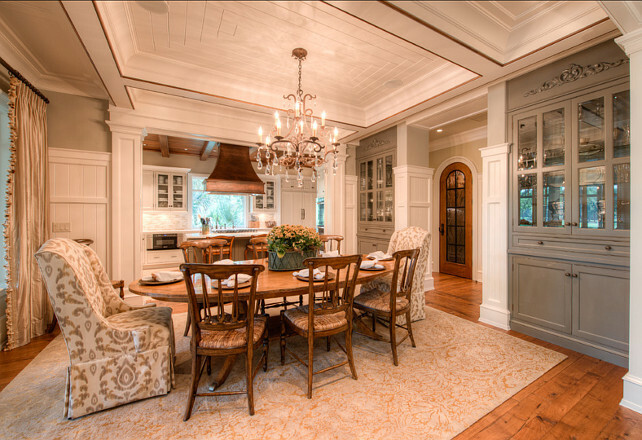 The dining room opens to a spacious kitchen. 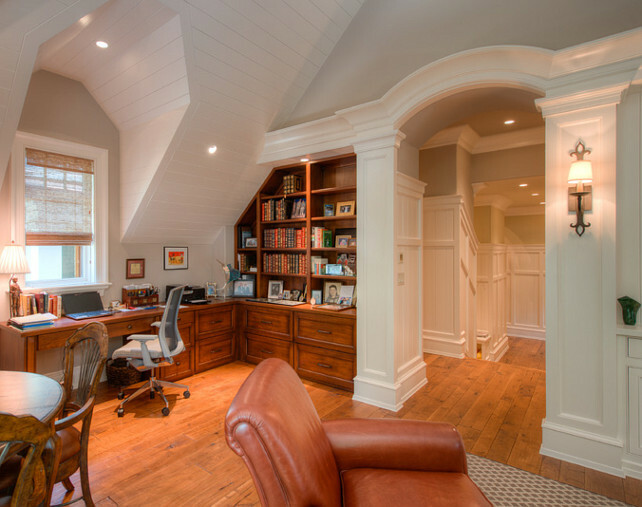 Wonderful built-ins and millwork. Note the wooden details on the ceiling also. I really like the vintage dining set with the very elegant surroundings. 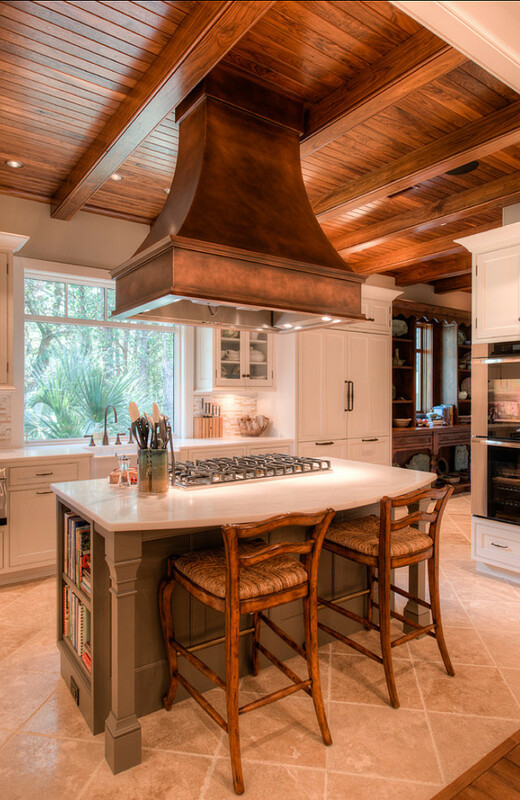 This kitchen is perfect! It has personality and it doesn’t feel overwhelming in size. The island is just big enough and I like that. Hood is made of copper. Gorgeous side by side fridge and freezer and handles. 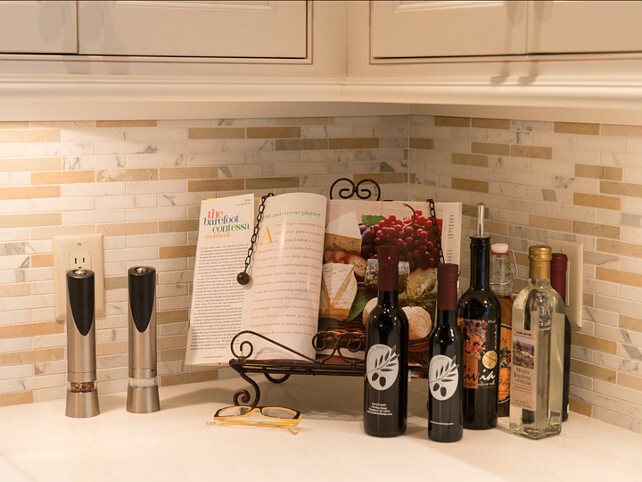 Beautiful mixed marble mini tiles backsplash. Flooring is limestone. Also, take a look at the ceiling… I love it! 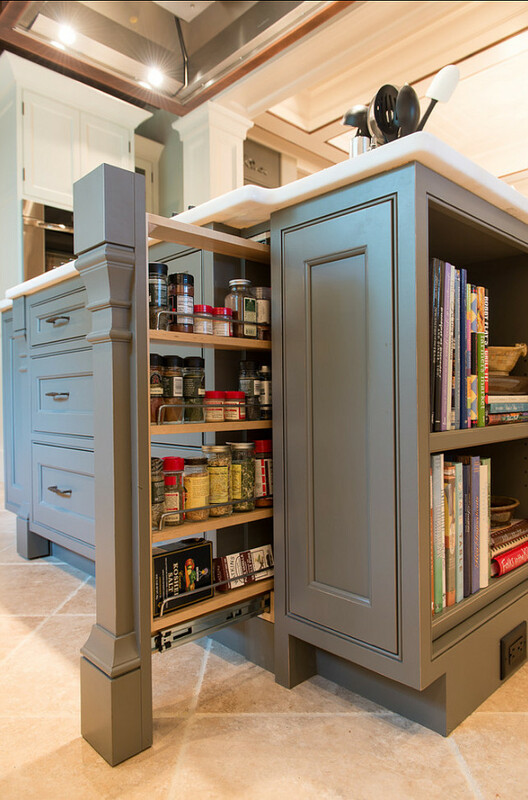 This spice cabinet is smart and a space saver! 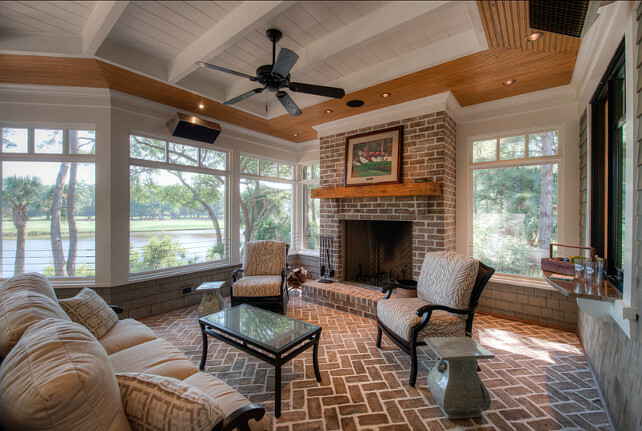 The screened porch has lovely water views and gorgeous brick floors in herringbone pattern. 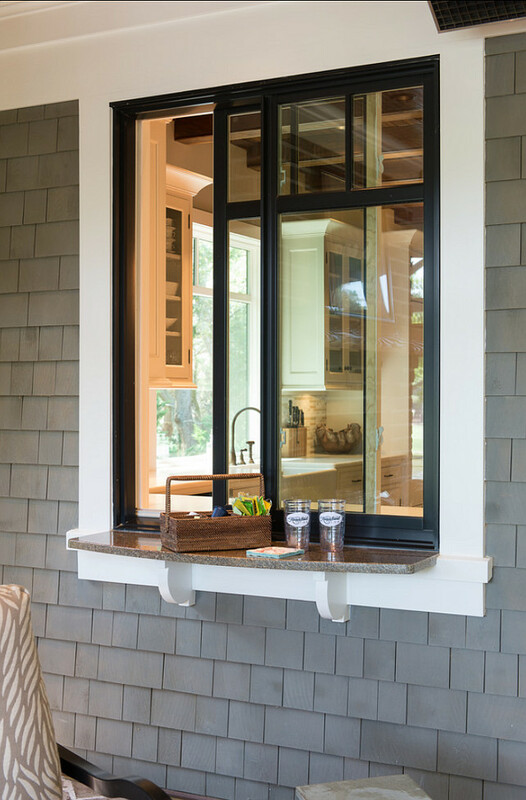 Having a pass-through window makes it easier to bring food from the kitchen to the screened porch. Isn’t it a wonderful idea? Bringing BBQ to the next level! 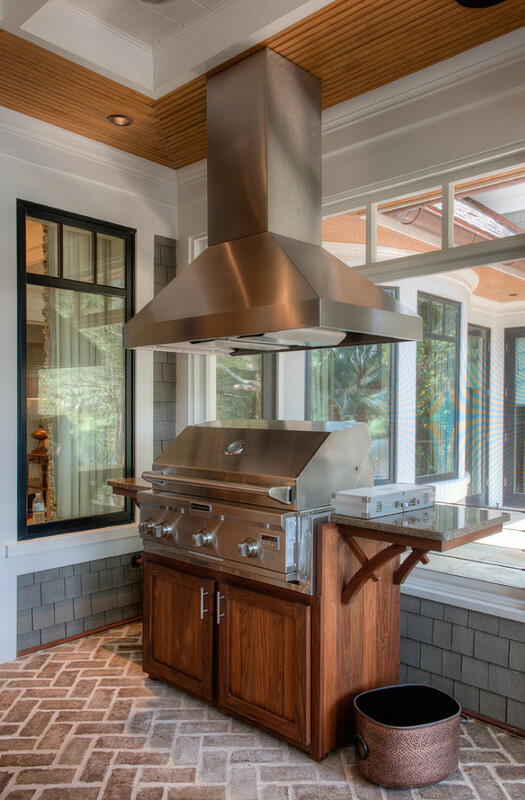 Note the hood, making it possible to have a BBQ in a screened porch. Nothing was overlooked in this home. 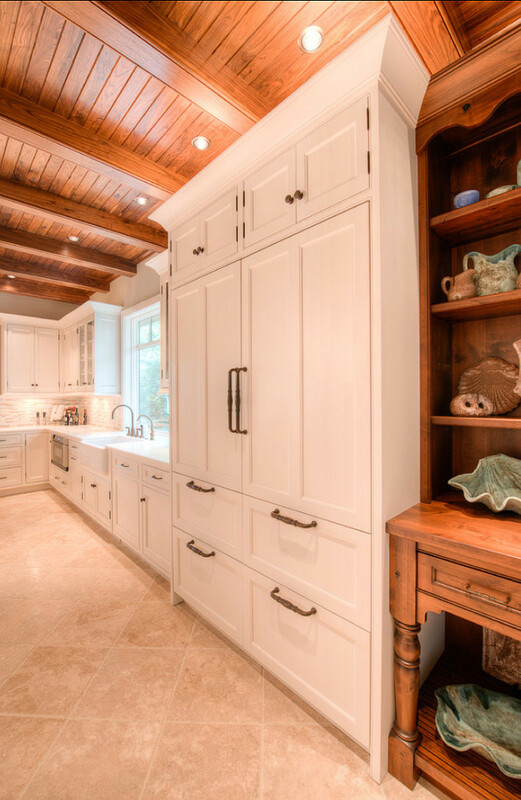 Coming from the kitchen, you will find a hallway full of timeless details and a fantastic wine room. 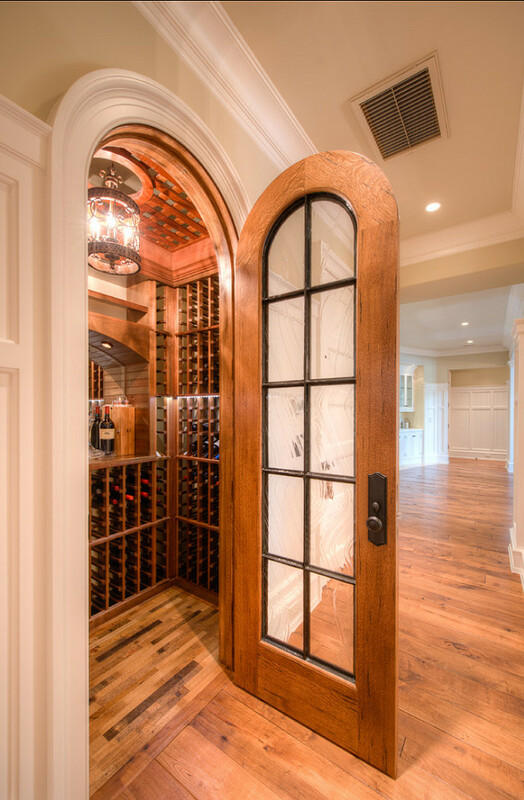 This wine room is easily accessible from the kitchen or dining room. Note the ceiling details. The door was custom made for this project. This truly a room for the family. You can watch TV, play games, read or work on the computer. Beautiful color palette and ceiling design. 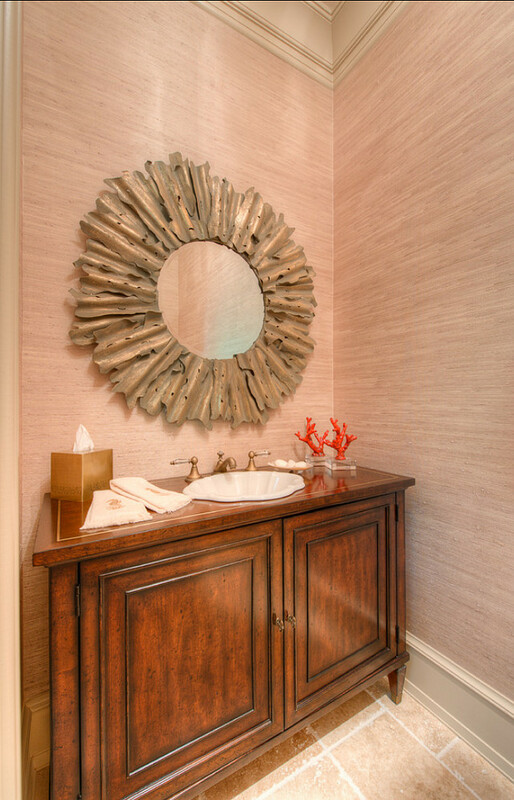 The powder room is very soothing and unexpected. Love the grasscloth wallpaper. 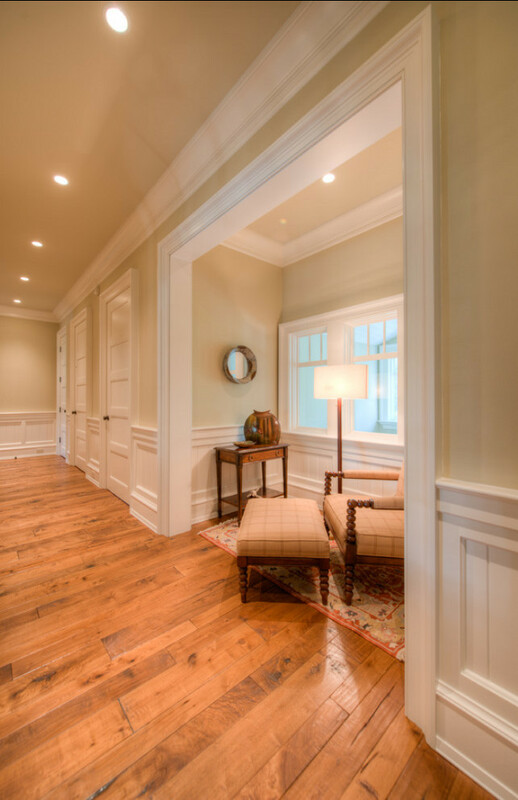 The landing area is just like the rest of the house, calming and elegant. 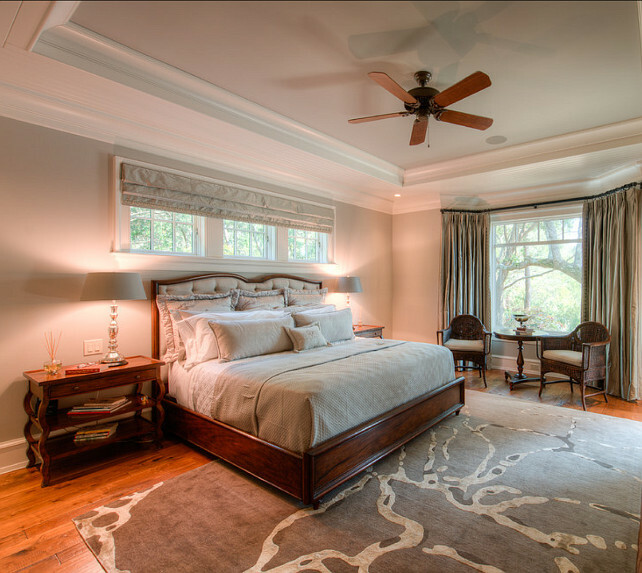 Paint Color in the master bedroom is a custom mixed Sherwin Williams Cashmere type paint. 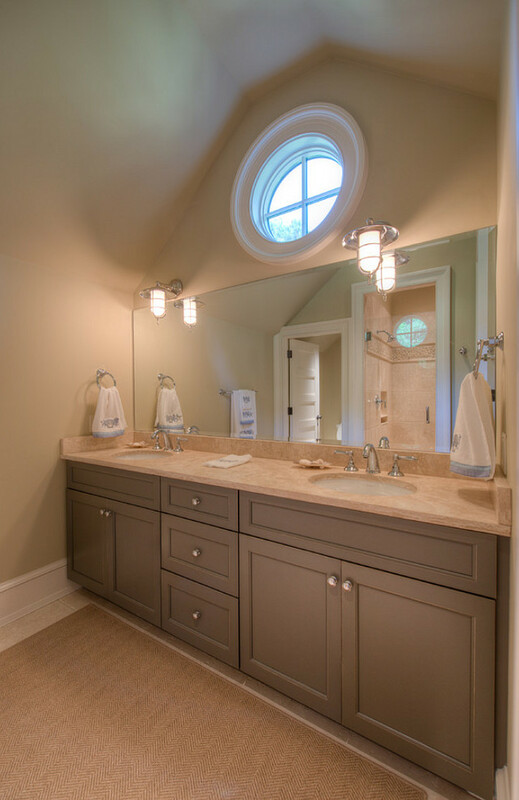 The master bathroom is serene and timeless. I love the honed marble flooring. By the way, honed marble is safer than polished marble, since it’s less slippery. Either way, I always recommend bath rugs by the shower and bath. Wow! Marble from top to bottom! 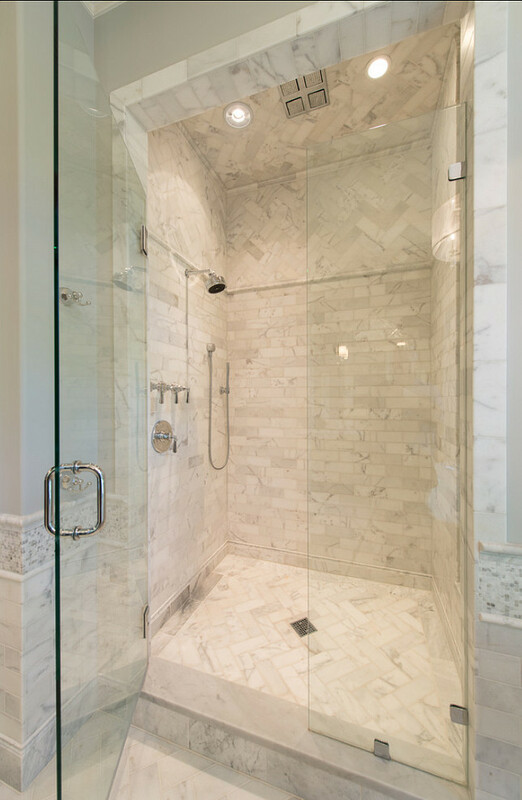 Gorgeous bath and marble tiles in herringbone pattern. Isn’t this bathroom beautiful? Impeccably designed. Note the beveled mirror in the archway. Stunning mix of marble tiles and mosaic. There are so many great ideas here. 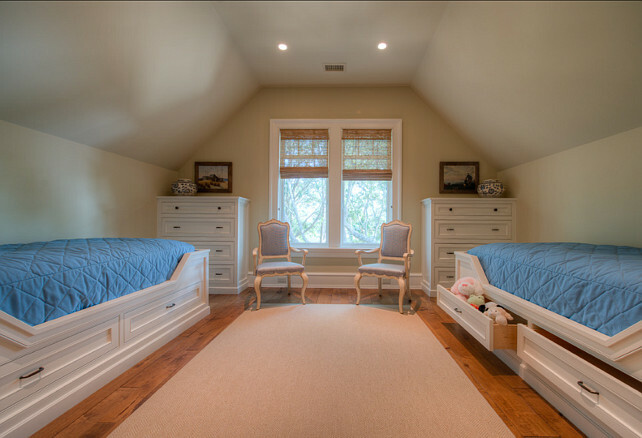 I like the built-in beds and the dressers. Extra storage is always a plus, especially in kids’ bedrooms. This bathroom feels coastal and it’s very calming. Great window and sconces. This home is full of inspiration. I like the brick foundation and shingles. Very unique. 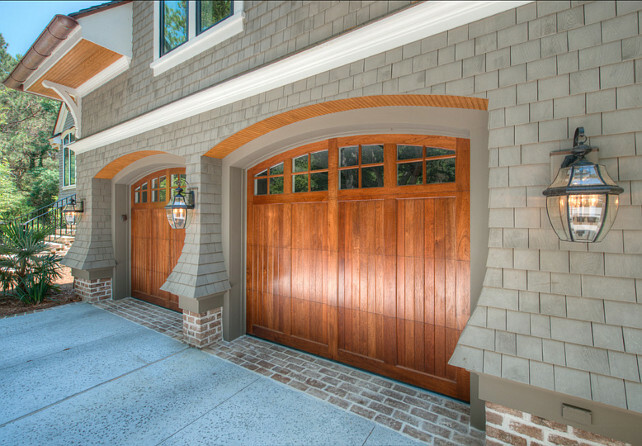 Stunning stained garage doors and lighting. 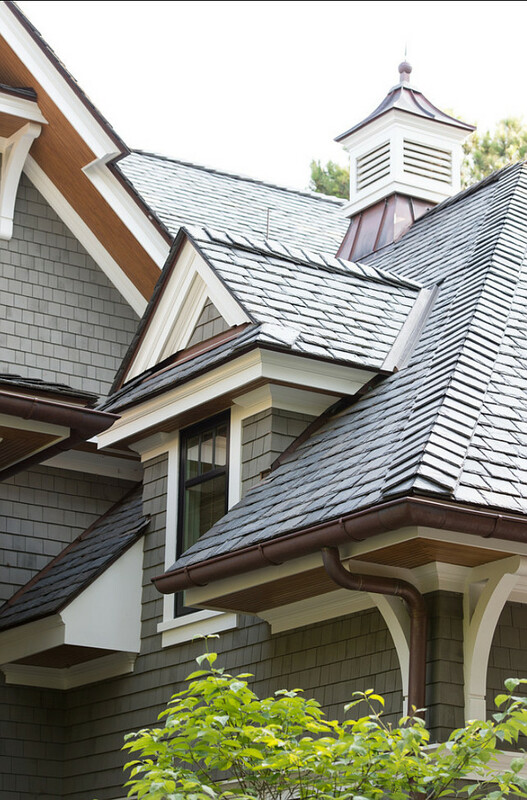 I am crazy about slate roofing. Dreamy! Notice also the eves and copper downspouts. I am a big fan of low-maintenance backyards and this one is perfect with its natural vegetation and the integration of new plants. How are you doing, my friends? Did you have time to relax during the weekend? We had a great time around the house, then went to the kids skating lessons today and we’ll be doing the same tomorrow again! 🙂 It can get busy some times, but they love it and I feel we should do our best to provide a good and healthy childhood to them. By the way, we all felt very proud to see all the walls looking like new and they actually enjoyed “working” with me… we talked so much while doing it and I feel we actually bonded even more. Being a parent is like that, teaching, learning and sharing… the fun and the responsibilities. Wishing you all a very Blessed and safe week. May we feel loved and cared. Love the way you put your kids to work……good idea, a little work never hurt em as my parents used to remind us!! I love the house too very charming and warm, great details, that pass through window is brilliant. This house is a trim-lovers dream. 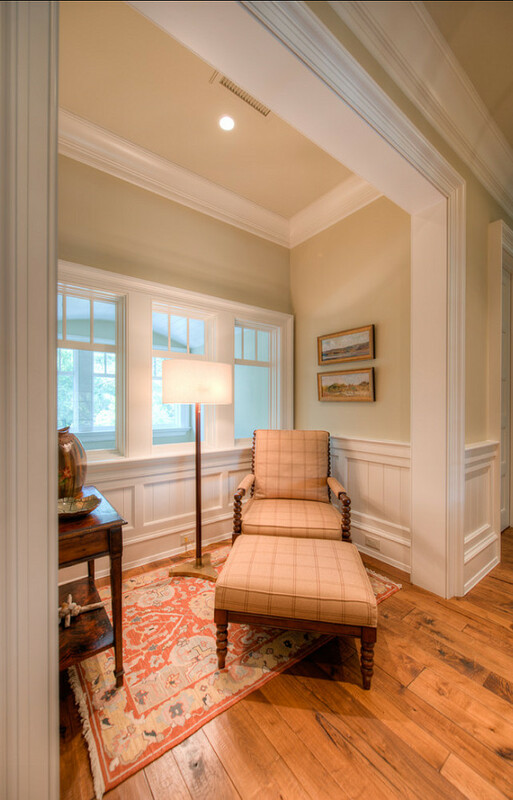 Great trim does so much to enhance a room but in such a subtle way. My goodness so much millwork detail….that guy must have been there for 6 months! I pinned a few photos of this beautiful home. Having the kids help with home projects is good and you are right they learn how much work it takes to keep a great looking home. Lu que delicia trabalhar em companhia dos filhos, assim você educa, resolve o problema de suas paredes e ainda se diverte, e melhor, sem brigas ou incomodação. Fabulous woodwork through the house – wouldn’t like to clean that place tho’ 😀 Probably cost a hideous amount of money to build – everything looks such high quality. When my husband and I decided to build our last home, our final resting place, I immediately thought of my beautiful family….especially my precious Grandchildren. I combined my creative thoughts and ideas with my heart full of love and went to work with the architect, then the builder. Building this home was truly a labor of love. 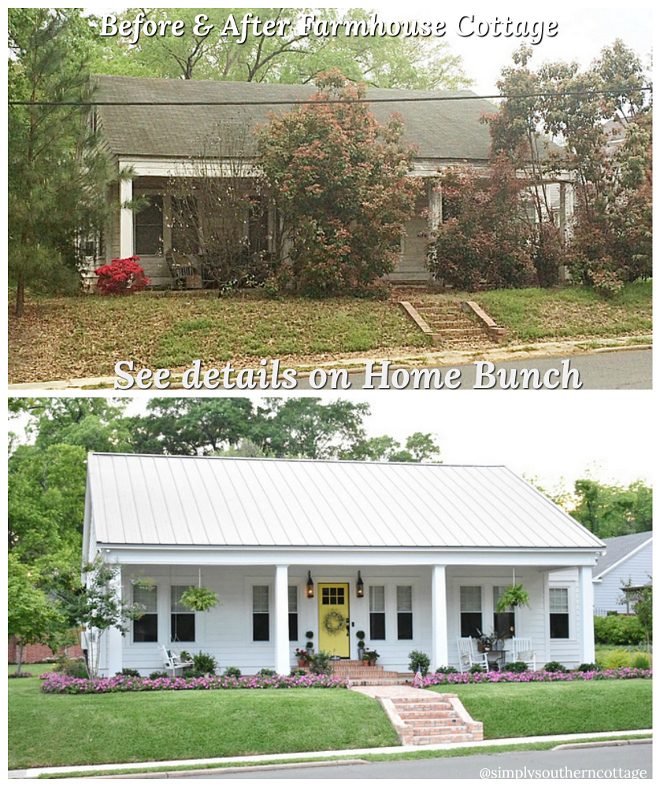 A home to share with family and friends, a home to make wonderful memories for now and future generations. I’m so blessed!! 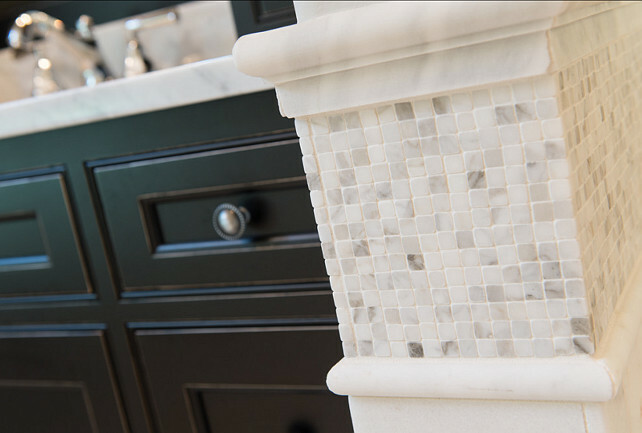 please, please, please share with us the name of the tile you used in the master bath. I am using your photos as my inspiration for my own master. it is rare when I find just the right look.. and your bath is it! love it!! I am sorry, but I don’t have the paint color. Please, try to contact the designer to find more about it. Love the Tub. Can you tell me who is the tub manufacturer. What is the name of the tile used in the master bathroom? 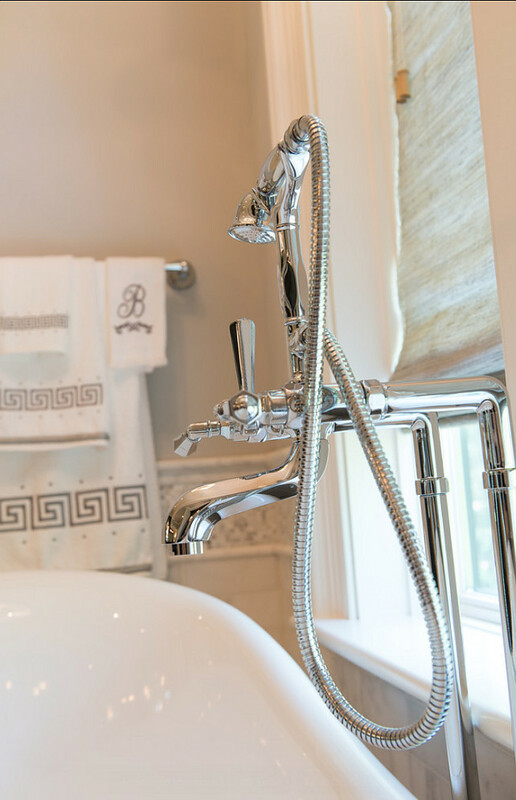 This master bathroom will still be in style 100 years from now. This house is classic architecture at it’s finest, love every inch of it! I truly hope the homeowners & their next generations to come continue to enjoy such a fine specimen of a home. What’s the brand of the black pass thru window? What is the name of the tile used in the master bath? Hello, we are remodeling our masterbath, and I have been searching for months and hundreds of examples. 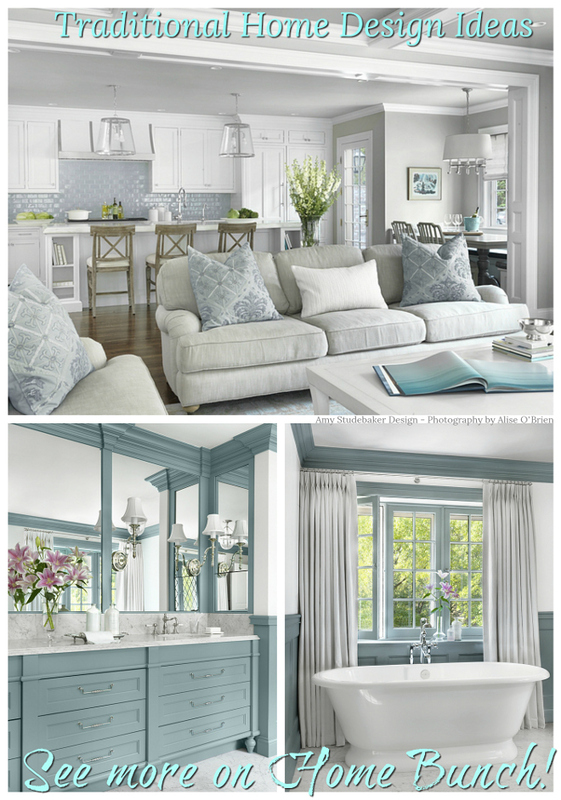 When I saw this master bath.. my heart skipped a beat because it is EXACTLY what I have been searching for high and low. 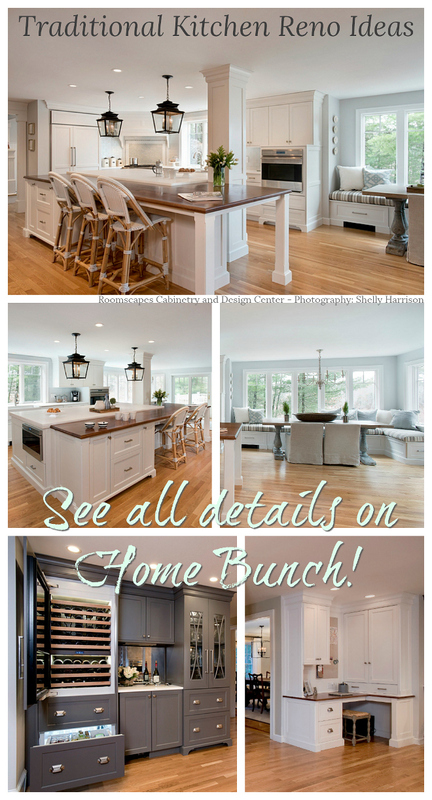 Down to every single detail! I am having the absolute hardest time trying to figure out what type of stones and tiles etc that were used in this bathroom. I’m completely desperate! If you have any info or links whatsoever to find out this info I would be eternally grateful to you! Thank you so very much for your help and fir sharing this stunning picture of this classy and gorgeous bathroom! The tiles are all marble in different sizes. If you show those photos to a tile specialist he should be able to find similar products. Thank you so very, very much Luciane for getting back to me so quickly! I really appreciate it! Do you think if I showed this pic to the people at the stone store, would they be able to recognize & point me in the right direction on what type of stones and trims are used mid way up the walls (about a foot high trim) as well as the trim inside the shower? The pic is so small/kind of far away, and gets pretty blurry when zoomed in. Sorry to bother you with this again. 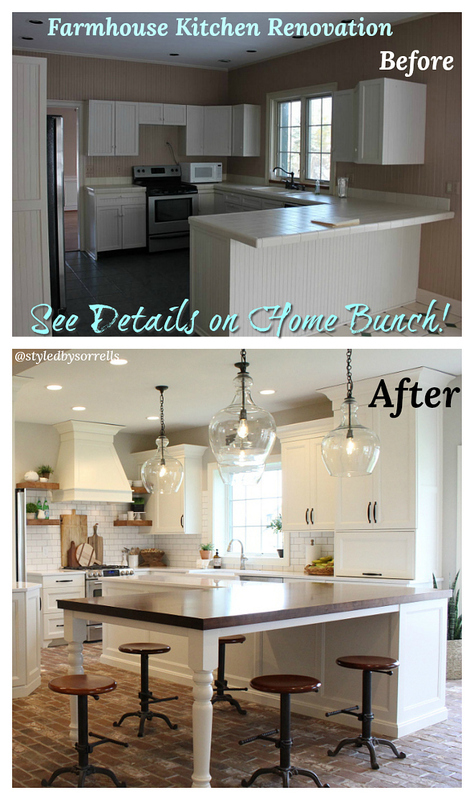 It’s just that I’ve spent months looking at hundreds of remodel examples and this is EXACTLY what I’ve been looking for all this time! And I want to replicate this EXACT bathroom in at least 2 of my bathrooms. 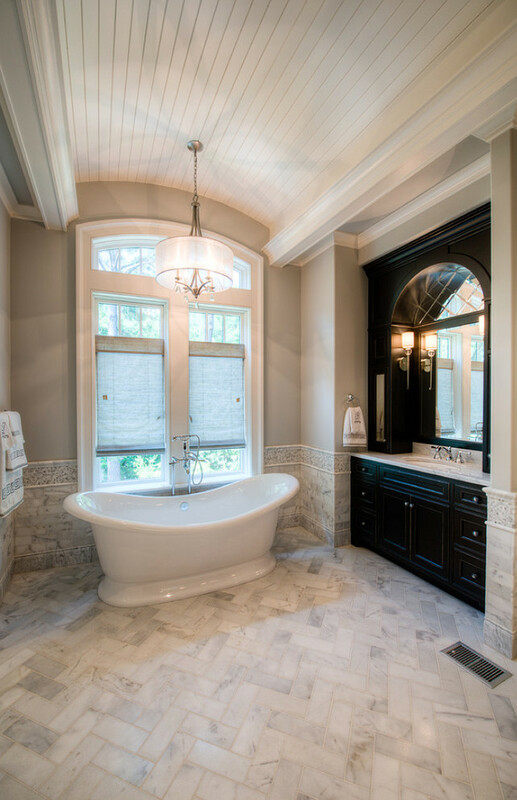 I’m so in love with how gorgeous, classy, and timeless this bathroom looks! Thanks again for your time and expertise! Very much appreciated! Take care! I really think you that you will be able to replicate this. You can contact the designer and ask for more details if you prefer – This is their “Green Meadow” project. Let me know if you need anything else. It would a pleasure to further assist you on this.